Successfully set-up and use a performance management system in your workplace. Successful businesses have clear goals and a strategy in place to achieve them. Each team knows what it has to do to achieve those goals and how its performance will be measured. If you want to find out about performance management, this course will teach you all you need to know. You'll learn how to measure performance, and why it's important to do so. 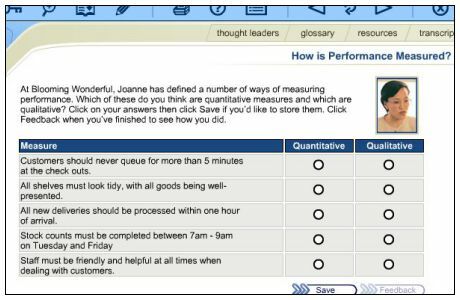 You'll find out the different ways in which your organisation's stakeholders might want to measure performance. You'll also learn how to set up and use a performance management system in your workplace. A learndirect certificate of completion will be emailed to you at the end of the course.